A while ago I posted about a band from Mexico called - Solar Zalavia. 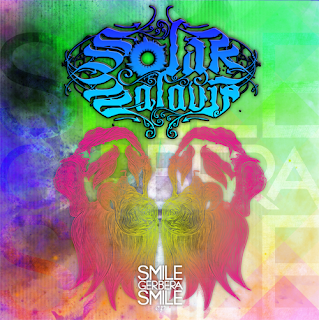 I couple of days ago, guitarist Selko got in touch with me about the bands new song - Sick Precious Smile, which will be on their new EP - Smile Gerbera Smile. Selko kindly sent me a link to the new song, so you can listen to it. You'll need to download the track via Mediafire. Just click on this link - http://www.mediafire.com/?m8dl56k9cju60yp. This song marks a move to a heavier sound for the band, with great musicianship and more progression. I can't wait to hear the rest of the EP. Be sure to check it out and show the band your support. Go to - http://www.facebook.com/home.php#!/pages/Solar-Zalavia/135942870836 and http://www.myspace.com/solarmusic.